An official of one of the centres used for the Unified Tertiary and Matriculation Examination in Lagos has been arrested by the police for allegedly engaging in examination malpractice in the just concluded exam . The suspect was identified as Divine Nwamueze , who worked at the UTME centre, Digital Bridge Institute in Oshodi . Our correspondent learnt that the woman was caught on camera assisting a candidate sitting the exam at the centre and handed over to the police. A police source confided in ROYALPIZZLE_MEDIA CORRESPODENCE that the suspect reportedly confessed to helping the candidate because he was ill during the exam . 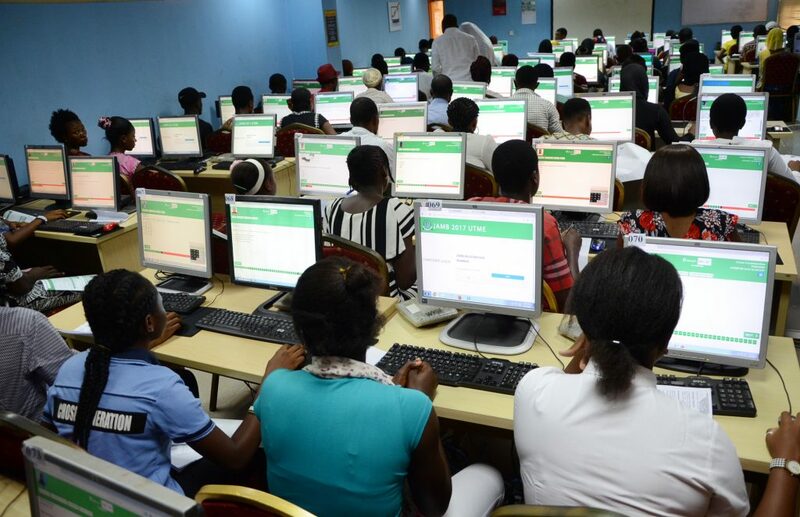 The source said , “ During the just concluded UTME , a woman, Divine Nwamueze , was caught at Digital Bridge Institute in Oshodi while she was aiding one of the candidates doing the exam at the centre. The Lagos State Police Public Relations Officer , SP Chike Oti, promised to get back with comment when contacted by our correspondent on the matter. But the Head of Information, JAMB, Mr. Benjamin Fabian , confirmed the arrest. He said several other arrests were made during the exercise , noting that the board was following up the cases with the police to ensure diligent prosecutions. Calls made to a phone number on the DBI website indicated it was not reachable and a text message sent to the line had yet to be replied to as of press time.